A steam training seminar from TLV Euro Engineering covering the efficient use of process steam has achieved a Level 3 BTEC Advanced Award, offering a nationally recognized qualification to those following the syllabus. 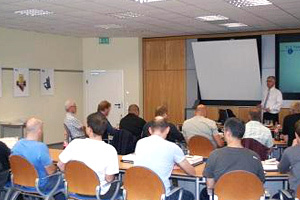 The seminars are held at TLV’s European headquarters in Germany. He goes onto say the course really expanded his knowledge of steam- and condensate-related services and equipment, including sizing steam mains, pressure reducing valves and the appropriate use of steam traps in different applications.